I absolutely love the aroma of apples and cinnamon – especially this time of the year. When it’s start cooling down outside and when there is a rainy date, baking something with apples and cinnamon just defines the description of “comfort food”. Try this recipe – it may very well become your family’s favorite! In a medium bowl, whisk together flour, cinnamon, baking powder, salt and baking soda and set aside. In a large bowl, whisk melted butter with brown sugar and eggs until mixture is smooth. Fold in apples with rubber spatula. 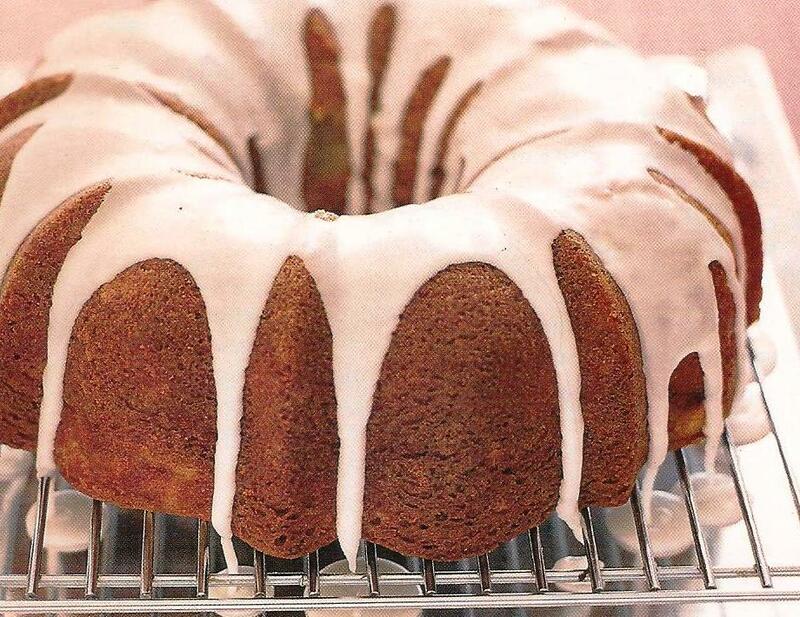 Spoon batter into a 3-quart non-stick bundt pan and smooth top. Bake until a tester (or a thin knife) inserted in middle of cake comes out clean – 50-60 minutes. Transfer pan to a wire rack and let cool 15 minutes. Invert cake onto the rack to cool completely. In a small bowl, whisk together confectioner’s sugar and 1-2 tablespoons of water to form a thick yet pourable glaze. Set rack with cake over wax paper (for easy clean up), drizzle glaze over the cake and let it set before serving. Hope you will enjoy this recipe – please send me your comments and suggestions. Your input is always welcomed and very much appreciated!